New Years Day is just around the corner, making this the final Ravinia Festival: This Week in Classical Music of 2011! Just click the Spotify logo or the link above and add our playlist to your music library. We update our playlist every week so there will never be a need to resubscribe! Below is a day-by-day listing of the track selections for this weeks edition of the playlist. We hope you enjoy! This week is a very special week for Ravinia Festival: This Week in Classical Music! At weeks end it is none other than Christmas Day! Beethoven had a particularly remarkable December 22nd 1808, and we spare no expence making sure every work he premiered that day is available for your listening pleasure. Just click the Spotify logo or the link above and add our playlist to your music library. We update our playlist every week so there will never be a need to resubscribe! Below is a day-by-day listing of the track selections for this weeks edition of the playlist. We hope you enjoy! During the summer, over 600,000 people come through our gates carrying blankets, chairs, picnics baskets, and young ones. Relax on the lawn, dine at the Mirabelle or Parkview, or grab a bite at the Ravinia Market, the Ravinia experience is uniquely your own. In order to make this possible, our full-time staff of around 50 work day in and day out to make sure to bring you the best entertainment that our three month season can provide. Every member of our staff lives and breathes music, so we have compiled a sample of their favorite holiday songs, just for you! So without further ado we bring you our 2011 Ravinia: Staff Picks Holiday Playlist on Spotify! You can subscribe by clicking here or clicking the Spotify logo above. Look below for a track listing, including the name and title of the employee whose recommendation it was. Hope you enjoy! Another week and another update to Ravinia Festival: This Week in Classical Music, our celebration of milestone premiers of classical works. Click the Spotify logo or the link above to add our playlist to your library. This playlist will be updated every week (pending no computer issues!) with new works so there's no need to resubscribe! Below is a day-by-day listing of the track selections for this weeks edition of the playlist. We hope you enjoy! [UPDATE] This week is especially fun! On Dec 18, 1892, Tchaikovsky's The Nutcracker Suite premiered. Normally only select pieces from larger works selected, but we will include the entire The Nutcracker Suite for Christmas! This past Tuesday and Wednesday, Our Place of New Trier Township, visited us at Ravinia Festival to help pack holiday gift bags. Our Place is a non-profit organization whose mission is to support teens and young adults with developmental disabilities so they can live meaningful, productive lives in their community. The last time they visited the festival was May 14 when they helped us plant flowers in a garden off the pavilion. They did such an amazing job we had to have them back. They are a truly remarkable group of young individuals and we look forward to a long and fruitful relationship. Over two days this week they packed a mind-blowing 1,800 holiday bags! Thank you so much from all of us at Ravinia. Check out the full gallery at Picasa. The 54th annual Grammy nominations were announced this morning, and Ravinia Festival artists are distributed throughout. We are extraordinarily excited to have our beloved performers receiving the recognition they so aptly deserve. We have a Ravinia showdown on our hands for the “Best Pop Duo of the Year” award with Tony Bennett and the late Amy Winehouse for “Body and Soul” off Tony Bennett’s album Duets II in contention against Maroon 5 and Christina Aguilera’s “Moves like Jagger”. Tony Bennett appears on the nomination list in two more categories, “Best Pop Vocal Album of the Year” for Duets II and “Best Instrumental Arrangement Accompanying Vocalist(s)” for his duet with Queen Latifah “Who Can I Turn To (When Nobody Needs Me)” on Duets II. What a year for Tony Bennett! Tony’s nomination for “Best Instrumental Arrangement Accompanying Vocalist(s)” will be challenged by The Tierney Sutton Band and Sting with the Royal Philharmonic Concert Orchestra. It’s going to be a nail biter. Another week and another update to Ravinia Festival: This Week in Classical Music, our celebration of milestone premiers of classical works. Click the Spotify logo or the link above to add our playlist to your library.This playlist will be updated on Mondays (pending no computer issues!) with new work every week so there's no need to resubscribe! Below is a day-by-day listing of the track selections for this weeks edition of the playlist. We hope you enjoy! It is no secret that we love classical music. We are especially excited to see Spotify expanding their classical library everyday, because that allows us to bring playlists to you like 2011 Ravinia: Halloween. We are now bringing you Ravinia Festival: This Week in Classical Music, our celebration of milestone premiers of classical works, click the Spotify logo or the link above to add our playlist to your library. This playlist will be updated on Mondays (pending no computer issues!) with new work every week so there's no need to resubscribe! Below is a day-by-day listing of the track selections for this weeks edition of the playlist. We hope you enjoy! Today is Regis Philbin's final day as a host of "Live! With Regis and Kelly." On a cool crisp October afternoon in 2003, Regis graced Ravinia Festival with his presence, bringing his New York based talk show to the Pavilion stage. His smile and charisma warmed our hearts and lit up an otherwise quiet off-season day, leaving us with a lifetime of memories. From all of us here at Ravinia Festival, we wish you the best of luck in all your future endeavors, and you will always have a home at Ravinia. Give the gift of summer this holiday season. Ravinia makes it easier than ever as it opens its first Michigan Avenue kiosk, just outside of Nordstrom’s at Northbridge Mall, open from Friday, November 18 through Friday, December 16. Summer-themed gift items, including the popular stiletto shoe wine-holder (as featured in Chicago magazine) and souvenirs will be on sale along with gift certificates and the Classical Grass 10-admission lawn pass. Don't miss out on your chance to get your hands on one of a kind merchandise and deals only available at the downtown kiosk. Follow the new @RaviniaGifts for updates, prizes, and other exclusive deals. It is no secret that we love classical music. We are especially excited to see Spotify expanding their classical library everyday, because that allows us to bring playlists to you like 2011 Ravinia: Halloween. We are now bringing you Ravinia Festival: This Week in Classical Music, our celebration of milestone premiers of classical works. This playlist will be updated on Mondays with new work every week so there's no need to resubscribe! Below is a day-by-day listing of the track selections for the playlist. We hope you enjoy! We just found out some very exciting news! GetGlue will be offering a special ONE NIGHT ONLY sticker for tonights PBS Fall Festival’s premier of A GOOD MAN. 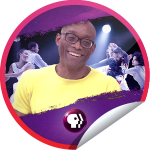 All you need to do is check in at 9 p.m. tonight at PBS Arts Fall Festival: Bill T. Jones and you will unlock this unique reward. Ravinia Festival made the annual list of 1000 Places to See Before You Die again this year! We wouldn’t have the opportunity to be on a list such as this without your help and support; thank you! ACM Lifting Lives is the philanthropic arm of the Academy of Country Music dedicated to improving lives through the power of music. Each year, ACM Lifting Lives provides grants to music therapy and music education programs. This year Ravinia is honored to be a recipient of this generosity, receiving a grant towards the festival’s REACH*TEACH*PLAY education programs. This generous grant will be put towards Ravinia’s Music Discovery program, which focuses on children from kindergarten to third grade, at the Edward Beasley Elementary School in Chicago. Thank you ACM Lifting Lives for this gift which will help continue Ravinia’s mission of bringing music education back into the schools! This week in Ravinia Throwback we have something truly outstanding. 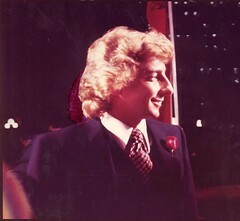 While browsing our archives of photo slides from 1976-1983, I was informed that in the 1977 season, a music special was produced using Barry Manilow show footage from Ravinia Festival. It went on to with an Emmy for Outstanding Music Special and after doing some searching around the internet I found the special on YouTube! Violinist Bella Hristova takes the stage at Ravinia's Bennett-Gordon Hall Saturday, October 15 at 8 P.M. as part of the 2011/2012 Season of Rising Stars. Tickets are only $10 and space is limited! We recently got in touch with Bella to ask a few questions, and are happy to be able to share with you. Q: What would be the most difficult thing for you to give up? Ravinia’s President and CEO, Welz Kauffman was one of two outstanding Chicago area musicians who were honored on Friday by the Union League Club of Chicago. 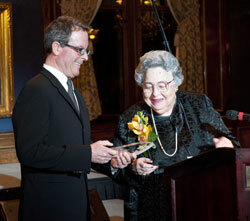 Kauffman, an accomplished pianist, and esteemed jazz vocalist and composer Kurt Elling received the club's Distinguished Musicians Award. This award – which includes induction into the club—is given annually to two artists. Previous recepients include Josephine Lee, Ramsey Lewis, Rachel Barton Pine and Nicole Cabell, among others. The evening’s reception and dinner featured performances by the two inductees and guest performances by student musicians from many different organizations, including a string quartet from the Chicago Symphony Youth Orchestra that performed during the reception hour.